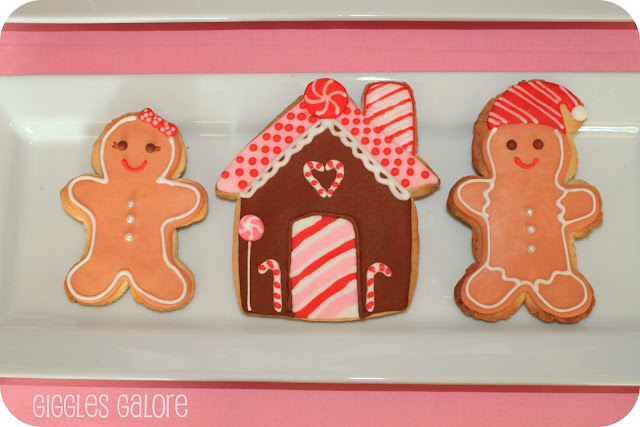 I don’t know about you guys, but each year I look forward to all the goodies my family will make and bake around Christmas time, including gingerbread cookies. 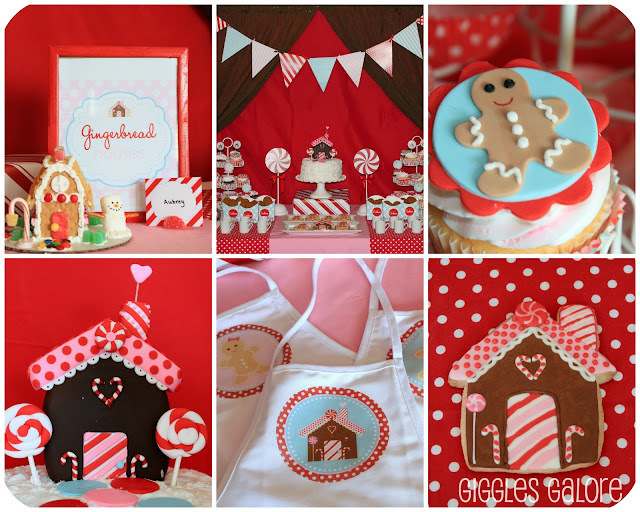 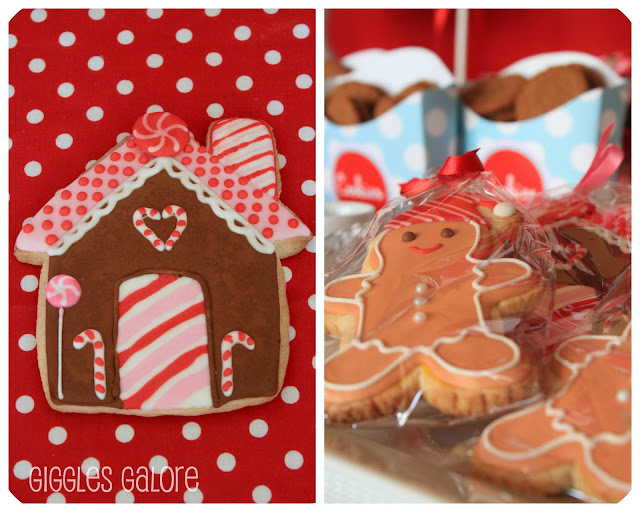 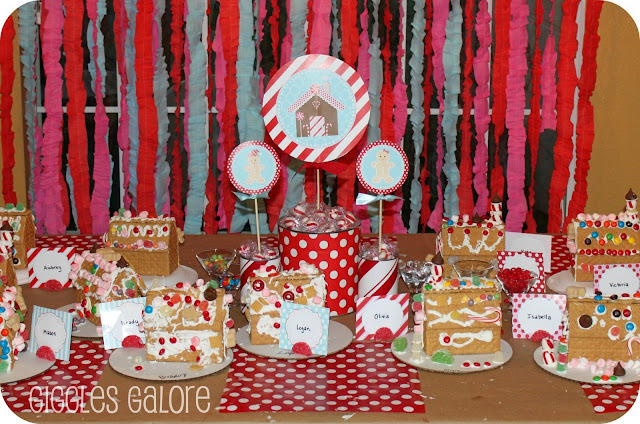 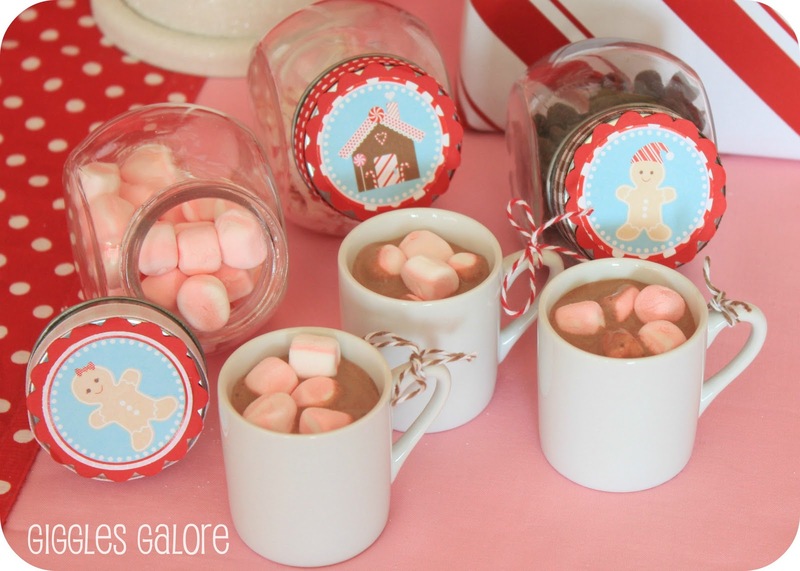 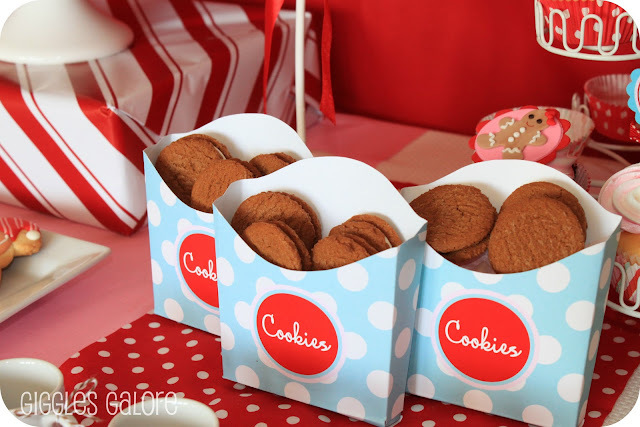 This gingerbread party was sent to us by Mariah of Giggles Galore and it’s another party not to be missed. 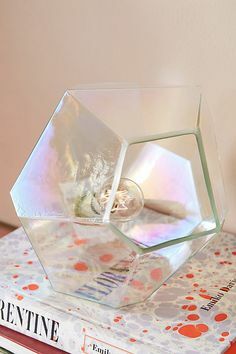 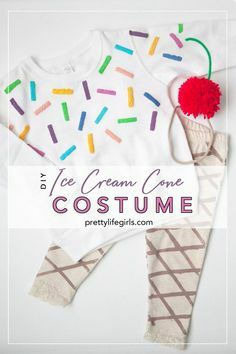 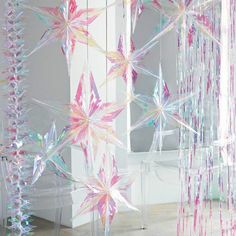 Mariah used our Gingerbread Party Package and worked with some great vendors *see bottom of post for credits* to create a truly unique party for her kids and friends. 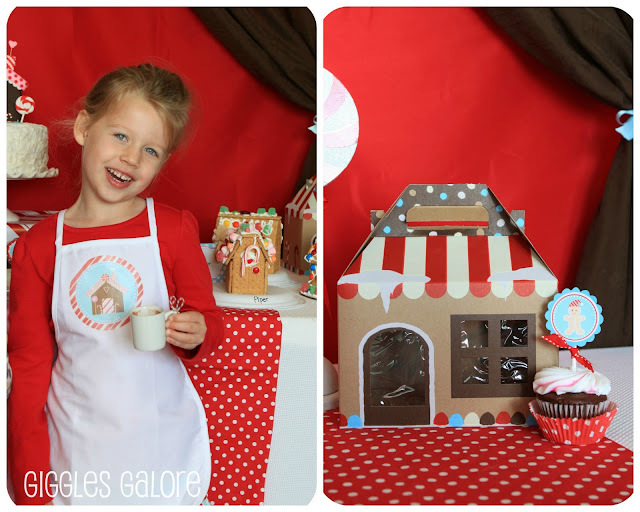 Check out her gingerbread party! 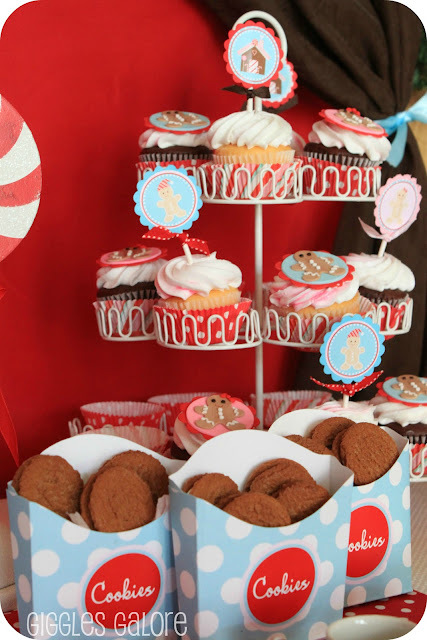 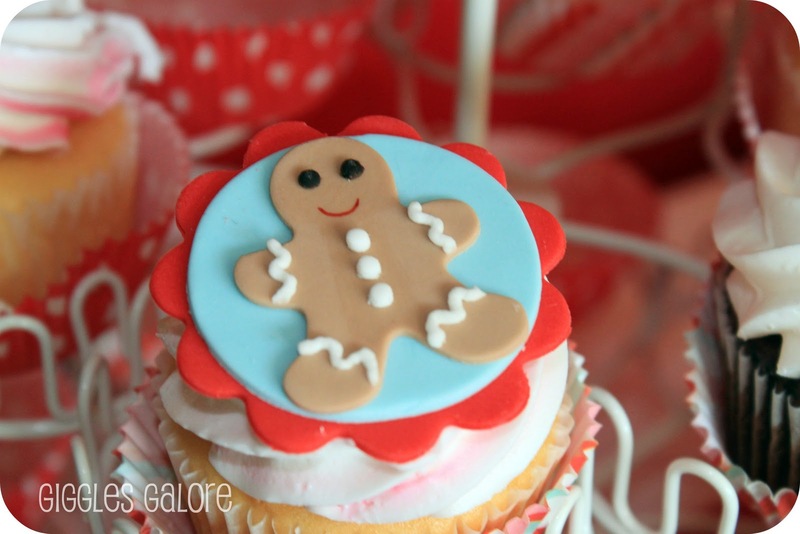 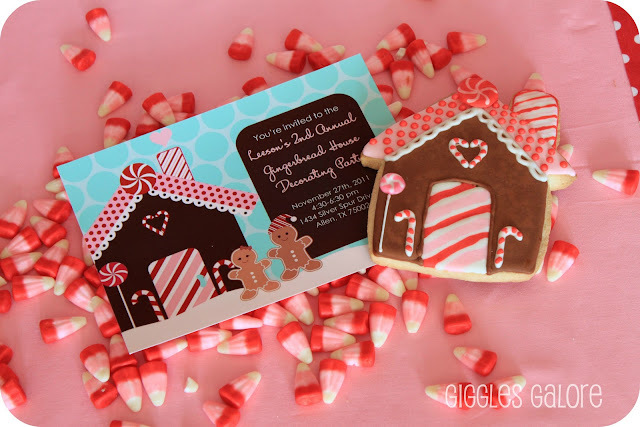 Party Decorations: Dimpleprints Gingerbread party package. The red, aqua and pink color combination were bright and cheery and so much fun to design around. Mariah used brown package paper from the dollar store to cover the tables and added a red polka dot place mat (made from wrapping paper) to each place setting. 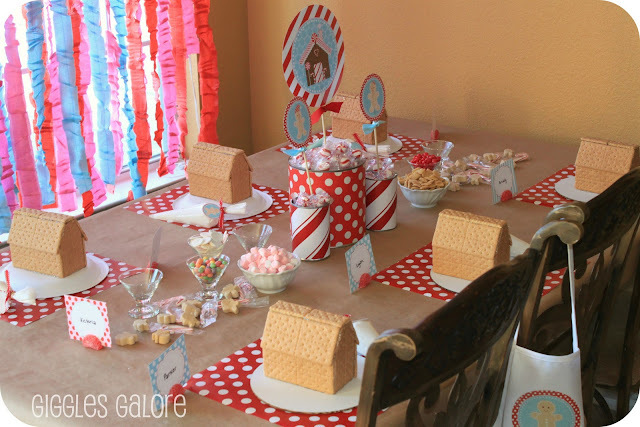 Each table had a simple centerpiece made from recycled cans and the large and small circles from the package. 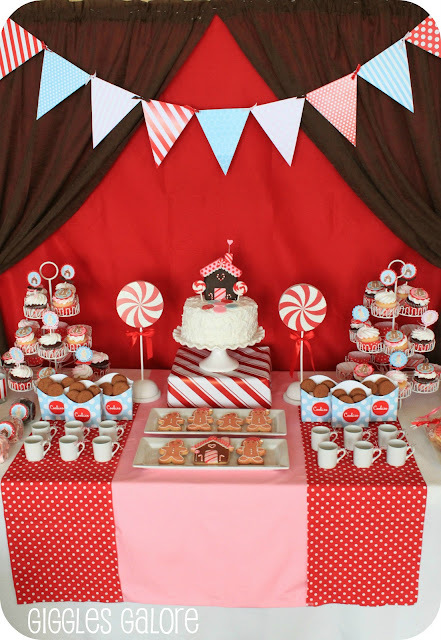 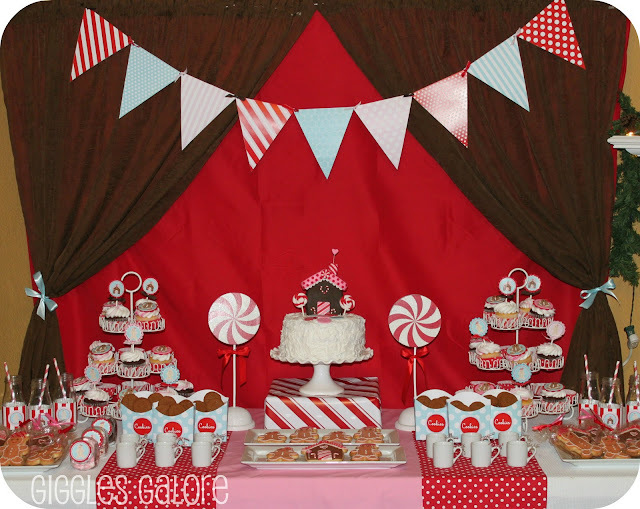 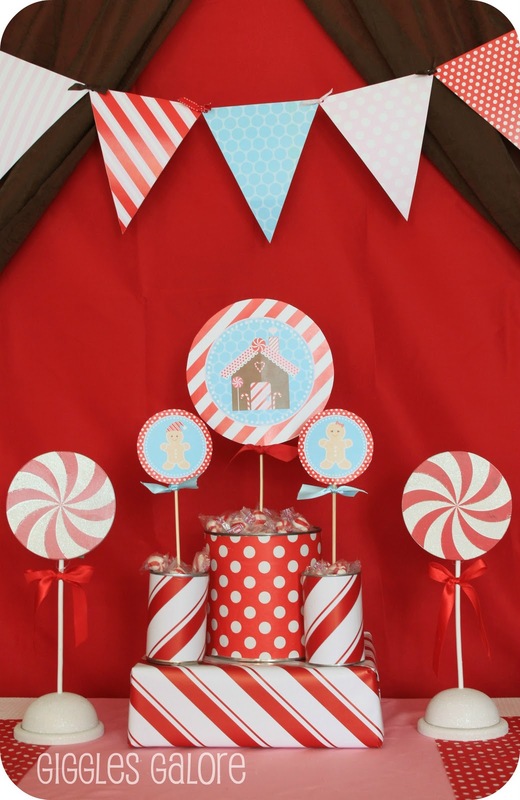 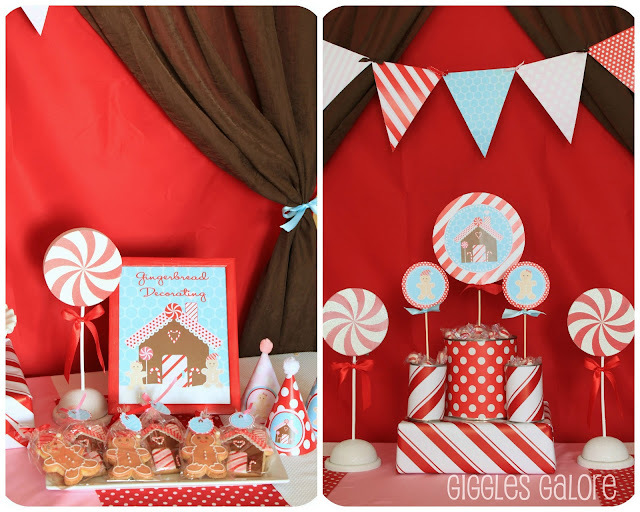 Dessert Table: Mariah used a red sheet and the curtains from her twins’ room to create the window backdrop for the decadent dessert table. 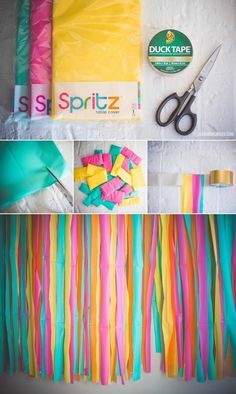 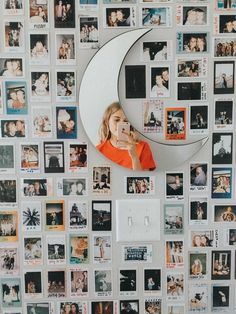 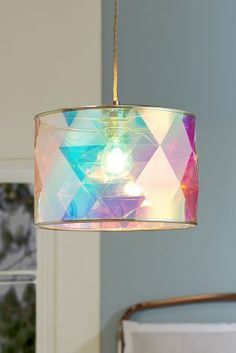 She hung a pennant banner to incorporate all the colors. 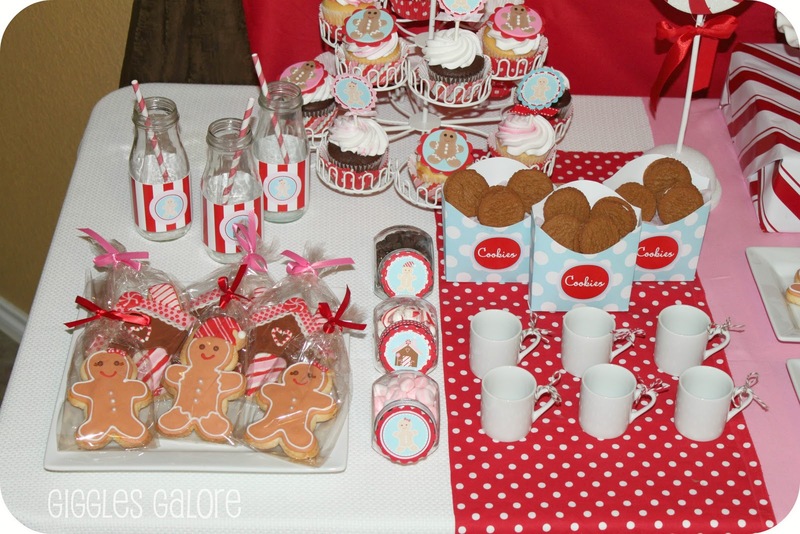 She kept the food simple with cupcakes, gingerbread cookies, ginger snaps and hot cocoa. 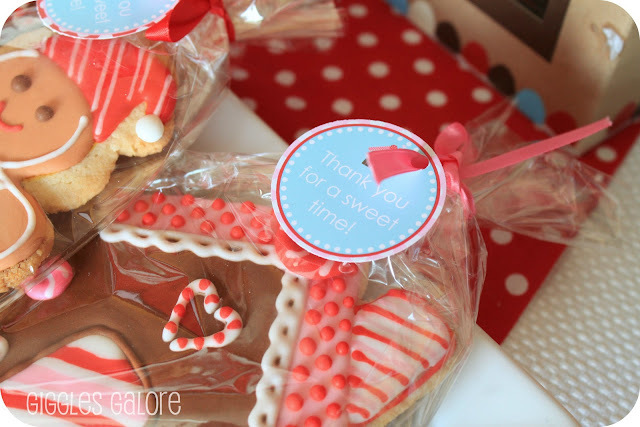 The gorgeous cookies were made by Sugarlily. 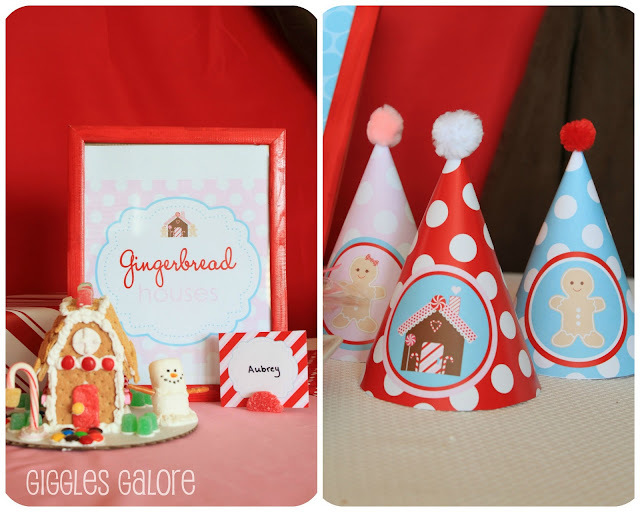 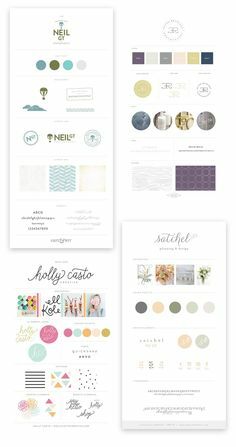 They coordinated perfectly with the printables! Aren’t these the cutest little gingerbread people you have ever seen? 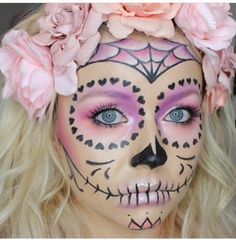 She also worked with Brittany from Edible Details. She created the perfect gingerbread boy and girl fondant toppers to transform the cupcakes and the darling gingerbread house for the cake. 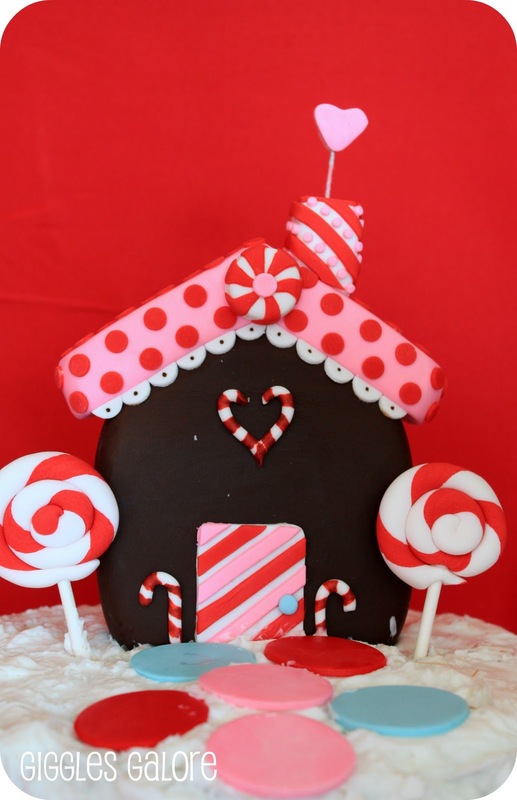 Party Details: Each child had their own individual “gingerbread” house to decorate. 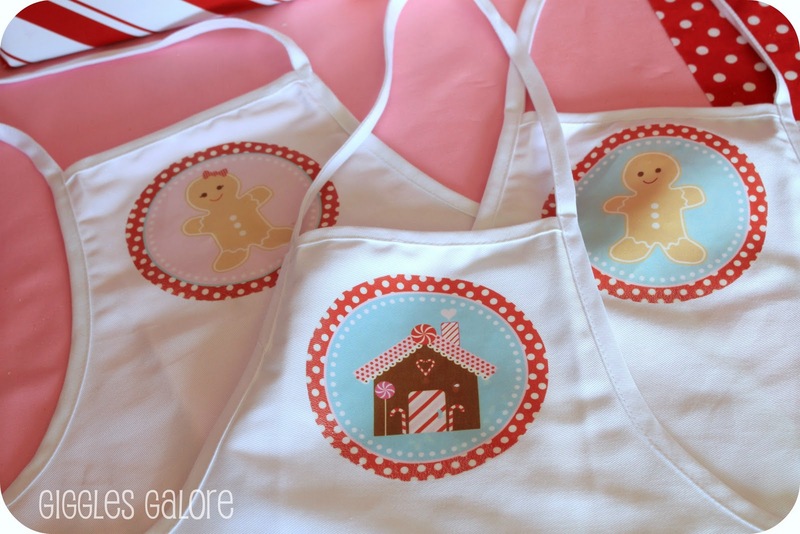 Mariah made aprons for each of the kids using some of the images from the party package. 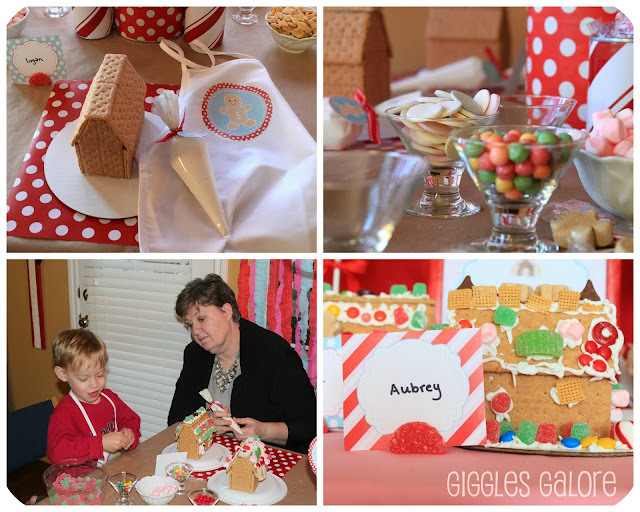 And finally after the kids created their masterpieces they were each given a gingerbread gable box to take home some of the sweet treats.